Why is everything so cheap! 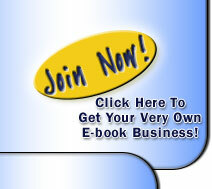 There are a number of reasons, we purchase our eBooks in bulk, passing our savings onto the customer. You may have also noticed we have banners at the bottom of every page, these are our sponsors. As long as you all keep clicking on the banners we can keep our prices low! If you need to know anything else please use the contact page.